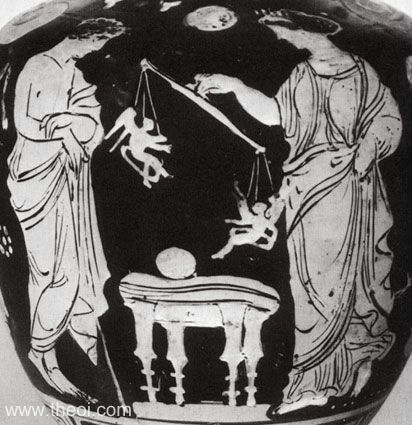 The goddess Aphrodite stands before a man weighing a pair of Erotes (winged love-gods) on the scales of fate. One of these is Eros (Love proferred) and the other Anteros (Love returned). The weighing of the loves is termed erostasia or eratostasia.